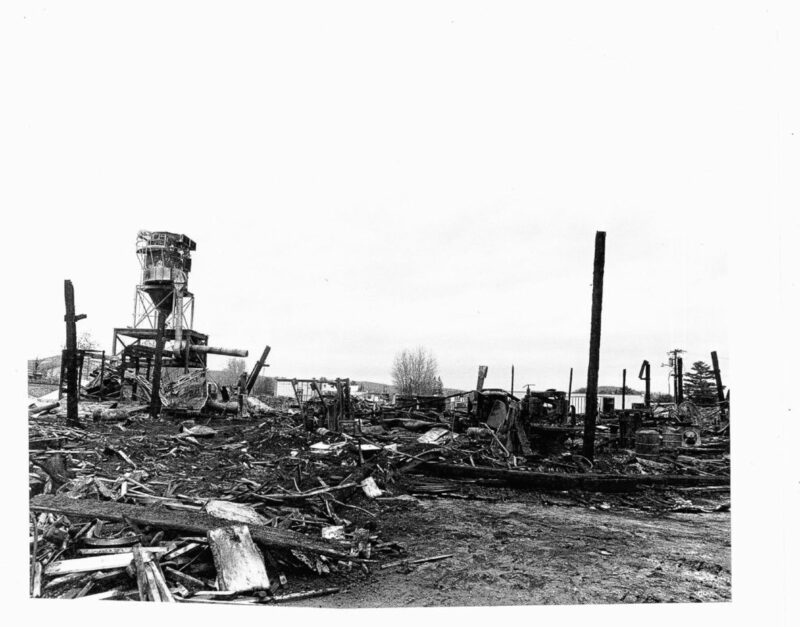 On Nov. 17, 1984, Tim Copeland watched his business burn to the ground. Located on Industrial Drive in Bradford, Vt., Copeland Furniture’s 18,000-square-foot, “dry, wooden building full of dry, wooden product” with no sprinkler system didn’t take long to turn into a total loss, Copeland said. 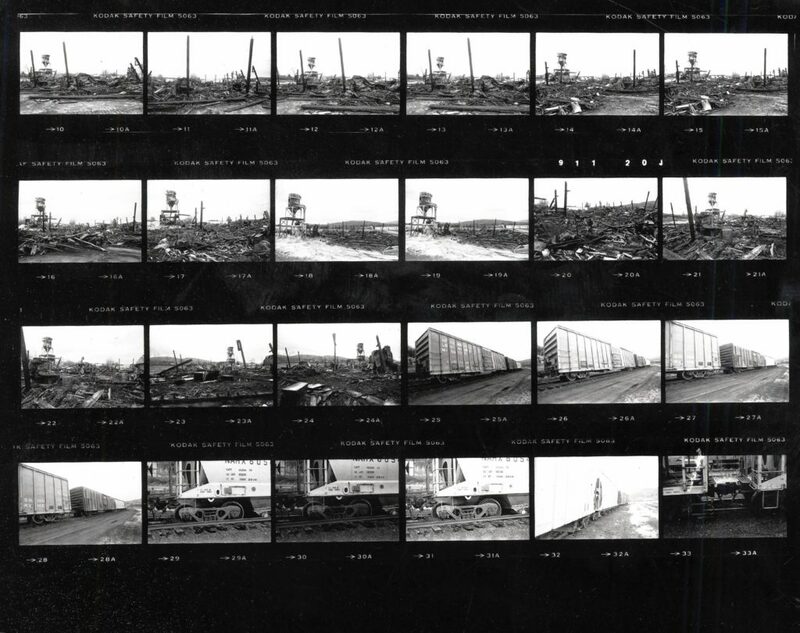 The only thing that was salvaged was the fireproof safe — and Copeland’s vision and ambition for his company. By November 1985, Copeland Furniture had a new, 25,000-square-foot factory on the same spot, this time full of state-of-the-art furniture-making equipment — and sprinklers. Today, the Local First Alliance member is a nationally renowned furniture maker with a 60,000-square-foot factory and more than $10 million in sales annually. Copeland and his wife, Jenny, and their young children moved to Bradford in 1971. After working at Britton Lumber Co. for a time, Copeland started a small woodworking shop of his own in 1975. Focused on developing products for the “back-to-the-land” movement, he built his early success on, of all things, cider presses. “It was a great way for an entrepreneur to start, because we had lots of sales,” Copeland said. In a matter of months, the business grew from just Copeland to five employees and $75,000 a year in sales. By the 1980s, Copeland was manufacturing the butcher-block kitchen furniture and Adirondack-style porch furniture that was all the rage at the time, focusing on “lifestyle furniture” in styles that were popular with the baby boom generation. “We’ve kind of matured along with that generation,” Copeland said, “but in recent years we’ve changed horses and now gear our designs more toward the Gen X and millennial sensibility” — a “mid-century modern aesthetic,” he said. What Copeland didn’t see coming were the changes wrought by globalization in the 1990s and early 2000s. “Into the early ’90s, I could compete with anything I knew how and was equipped to make,” he said, thanks to relationships he had built over the preceding decades, both locally and nationally. But in the 1990s, the market started to shift toward inexpensive, mass-produced imports, primarily from China. Copeland’s approach has been to focus on building the brand with a “reputation as a leader in style and sustainability,” a “coherent aesthetic,” and offering made-to-order components so customers can get exactly what they want in their new bed, table, dresser, sideboard, desk or chair. “That can’t be replicated with mass-produced furniture,” he said. Another selling point for many customers is that the products are made in the United States. A locally owned and operated business for more than 40 years, Copeland Furniture today is the largest employer in Bradford. Some of the company’s 100 employees have been with the company for decades. Most work on the factory floor, operating high-tech, computerized equipment to sand, cut, drill, assemble and finish the 4,000 various parts that become the more than 600 products the company offers. Those products are designed by the self-taught Copeland, along with Armin Driver, the company’s design director, as well as occasional contributions from outside designers. While the company is deeply rooted in the Upper Valley, less than 5 percent of its more than $10 million annual sales comes from its factory store in Bradford, with the rest coming from around the country. The company also strives to give something back to the community. Copeland Furniture provides support to AVA Gallery, the Bradford Conservation Commission, the Bradford Public Library, the Montshire Museum of Science, the Mentoring Project of the Upper Valley, and the Oxbow High School scholarship fund. The company also has made significant contributions to the Bradford Academy restoration project, the town of Bradford’s Veterans Honor Roll, and the Bradford Historical Society. Part of Copeland Furniture’s commitment to the local community is its commitment to the environment. The company has received industry awards for developing and documenting strong sustainability practices, particularly around energy use. Last August, the company went live with a 3-acre solar array adjacent to its factory that produces enough power to offset at least 60 percent of the company’s electric load. The company worked with fellow Local First Alliance member Catamount Solar to install the 1,956 panels and 8 miles of underground wiring — LFA members finding each other and giving each other business is one of the ways Local First Alliance benefits the region’s economy. The company also converted to wood heat and turns its manufacturing waste — sawdust, shavings and small scraps — into fuel for its furnace, using a dust-collection system powered by a 35-foot-tall, 125-horsepower vacuum cleaner behind the factory. The system filters the air and recirculates it into the building, while particulates drop out and are moved by auger into the furnace. The result is a productive use of what would otherwise be trash — and no heating bill, to boot. One of Copeland’s newer sustainability practices turns out to be a new line of furniture, too — the “Essentials Collection,” made from the “fascinating pieces of character wood” that have to be trimmed away to meet the design standards for the company’s other lines. 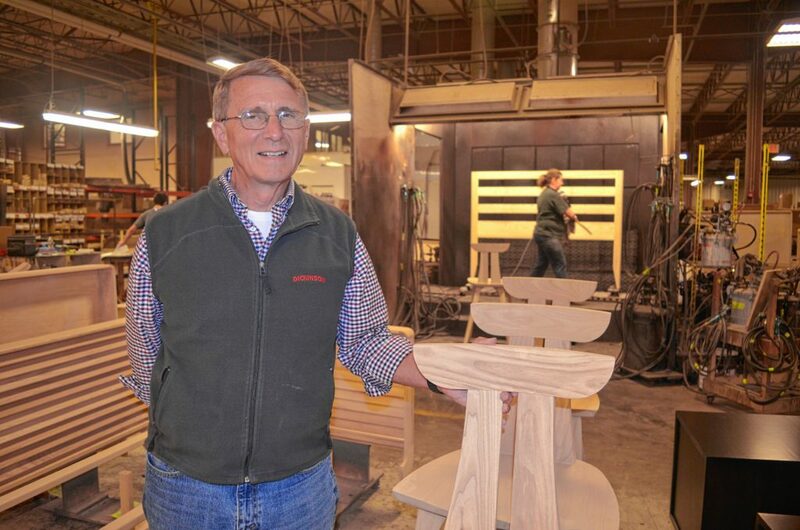 Copeland recently invested in a finger jointer to splice the small pieces together, turning them into the makings for an assortment of tables and chairs. As upsetting and challenging as it was, Copeland gives that 1984 fire a lot of the credit for where his business is today. In hindsight, he said, he probably should have installed a sprinkler system before the fire had a chance to start. At the time, though, “I didn’t know any better,” he said, noting that that seems to be a common theme among people who take risks and prosper. “You just plunge forward, getting through all the pitfalls and trips along the way with the support of your community,” he said. Allison E. Rogers Furbish is the communications and database manager at Vital Communities, which brings people together to take on critical regional issues. A freelance writer and longtime Upper Valley resident, reach her at allison@vitalcommunities.org.